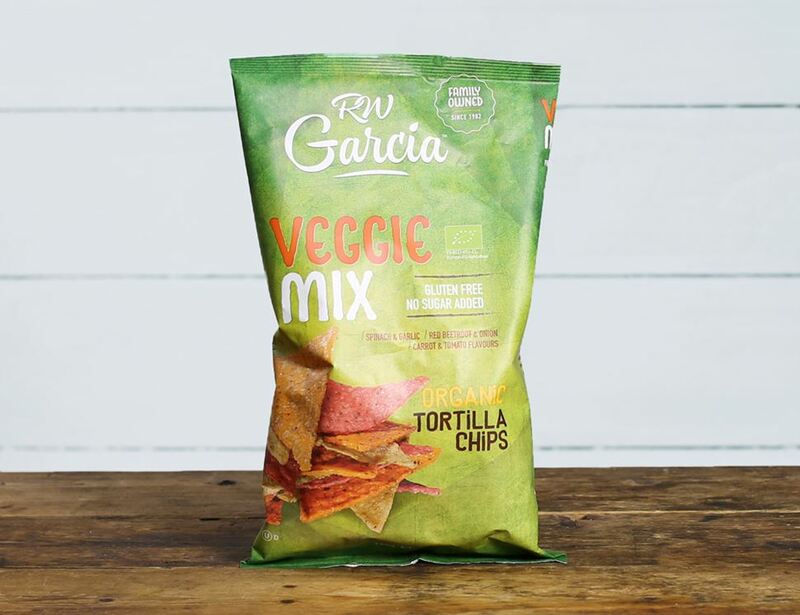 This bag of mixed organic tortilla chips is as much a treat for the eyes as it is for your taste buds. Ever so lightly salted, with a bit of salsa (or quite a lot), you'll have found your new indulgent (but good-for-you) snack for your movie nights. Stone ground white maize* (59%), sunflower oil*, sesame Seeds* (6%), tomato powder* (3%), carrot powder*(2%), garlic powder* (3%), onion powder* (3%), spinach powder* (2%), red beet powder* (2%), parsley flakes*, salt. Store in a cool dry place. Once opened keep in airtight container.